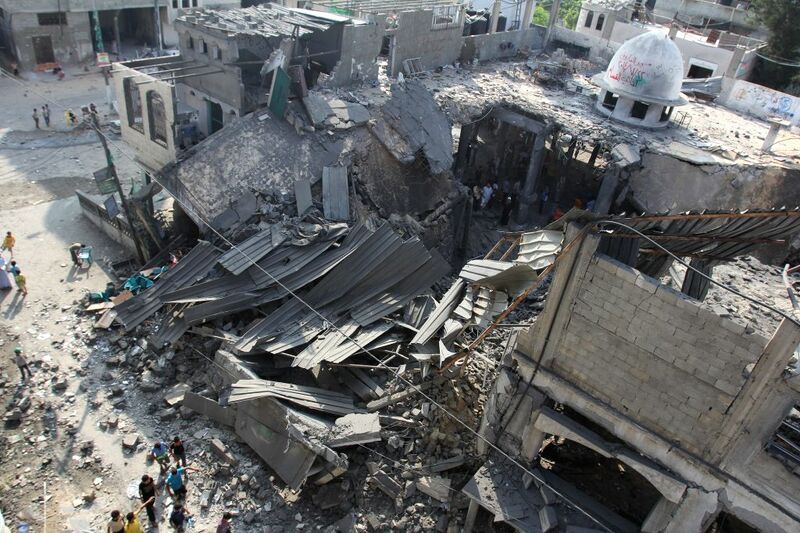 GAZA, July 22, 2014 - Palestinians inspect rubbles of Al-Farooq mosque destroyed in an Israeli airstrike in the southern Gaza Strip city of Rafah, on July 22, 2014. 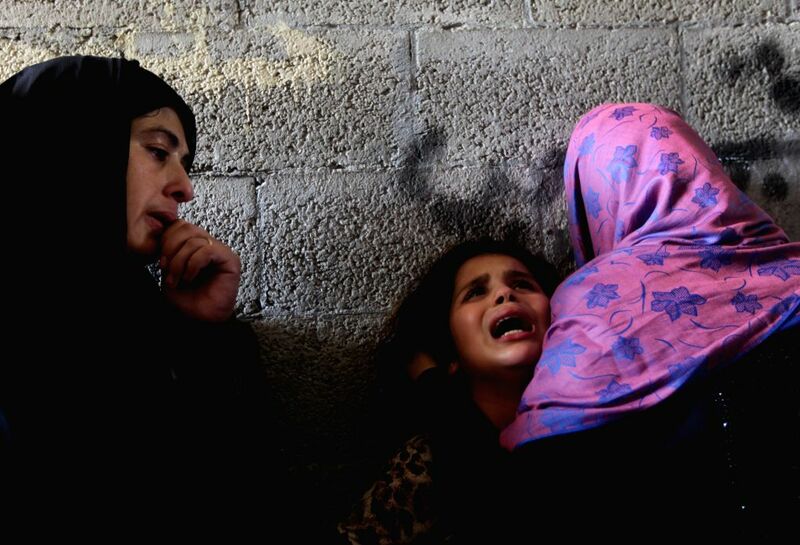 Israel's large-scale military operation against the Gaza Strip has left 576 Palestinians dead and around 3,600 others wounded. 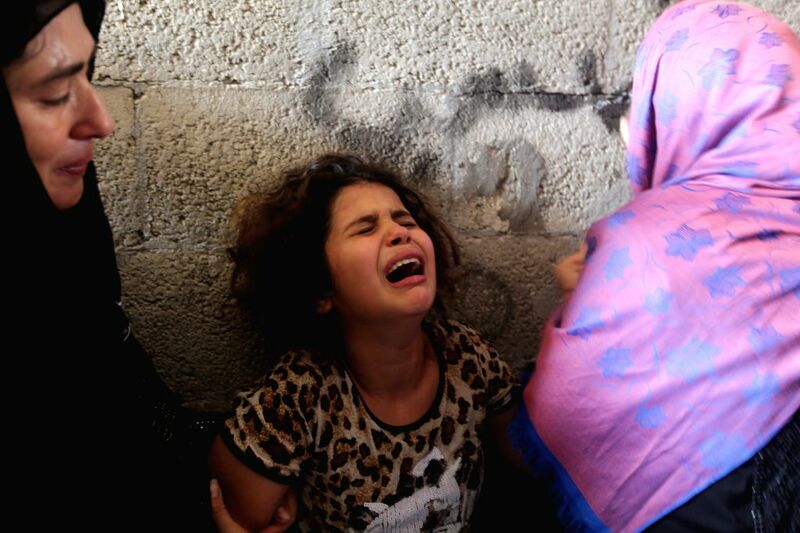 The daughter (C) of Palestinian Hasan Baker, who was killed in an Israeli airstrike, cries during his funeral in Gaza City, on July 22, 2014. 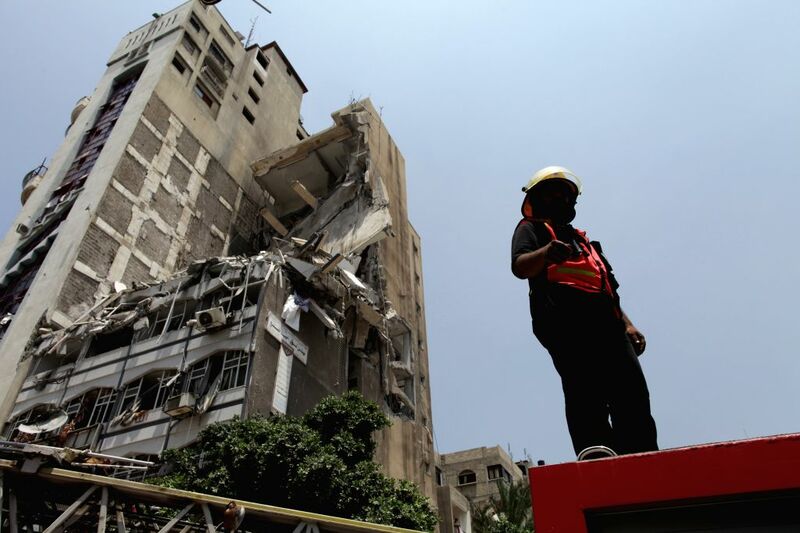 So far, more than 600 Palestinians were killed and 3,720 wounded in Israel's days of bombardment and tank shells, said Gaza medics on Tuesday. 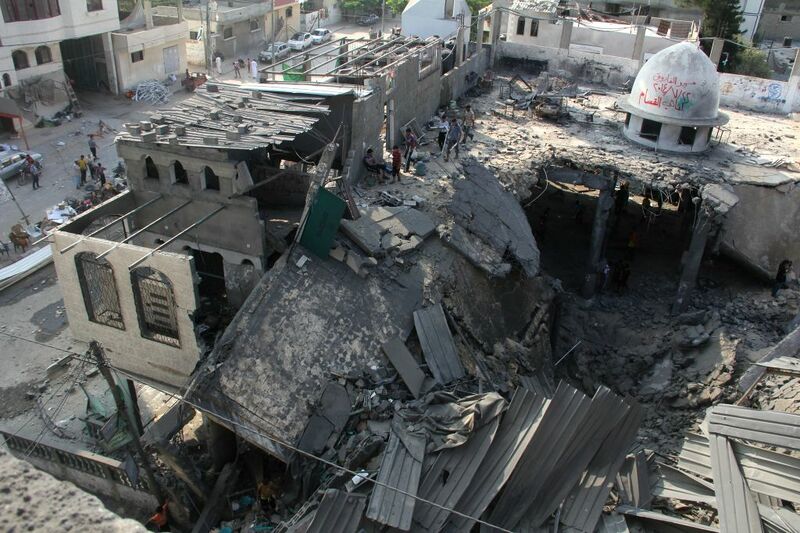 Palestinian members of civil defense inspect the rubble of a destroyed building following an Israeli airstrike in Gaza City on July 22, 2014. 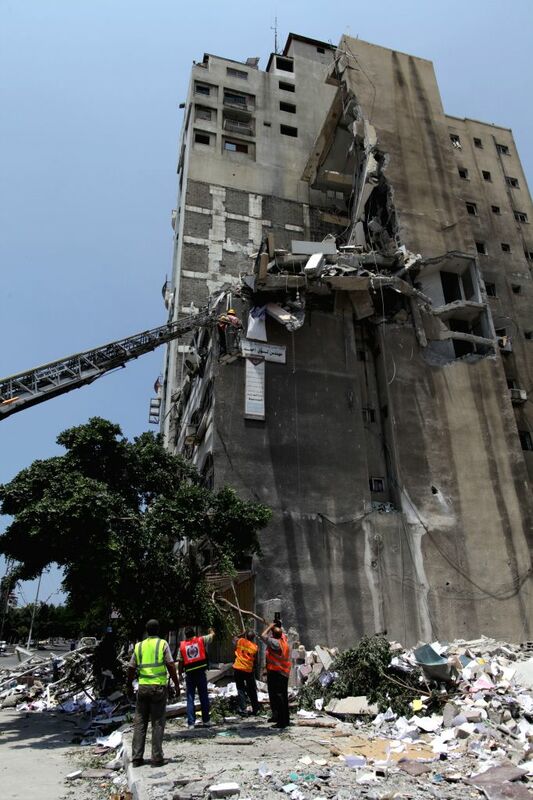 Ashraf al-Qedra, Gaza health ministry spokesman, told reporters that the death toll has reached 609, while the number of the wounded hit 3,720, adding that two-thirds of the victims are civilians.